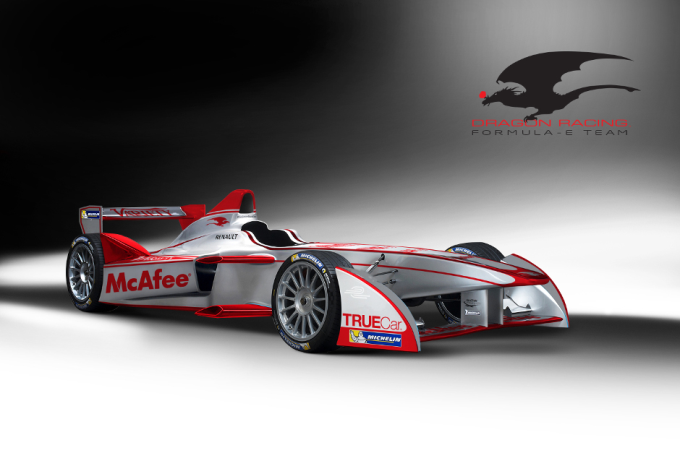 Leading IndyCar outfit Dragon Racing has today (25th September) signed an agreement with series promoters Formula E Holdings to become the fourth team to enter the FIA Formula E Championship – the new fully-electric race series beginning in September 2014. Dragon Racing is owned by media and publishing entrepreneur Jay Penske, with its headquarters based in Los Angeles – a city which has recently become the top market in the world for electric vehicles. It now joins Andretti Autosport, Drayson Racing and China Racing as one of the 10 teams to be put forward to the FIA for final approval by its World Motor Sport Council. Dragon Racing first began in 2006 under the original banner of Luczo Dragon Racing founded by both Penske and Steve Luczo, Chairman and CEO of Seagate Technologies. In May 2007, they made their debut at the Indianapolis 500 finishing an impressive fifth with Ryan Briscoe. Two years later they completed their first full IndyCar season claiming Rookie of the Year with Raphael Matos. Currently Dragon Racing fields two cars in the IndyCar Series with drivers Sebastian Saavedra and four-time Champ Car World Series champion Sébastien Bourdais. Alejandro Agag, CEO of Formula E Holdings, added: “We’re extremely happy to welcome Dragon Racing to the FIA Formula E Championship and are convinced that Jay Penske and the team will be a major contribution to our grid. Today’s announcement also brings an LA based team to the Championship. That has special significance as California has become the ‘land of electric cars’, an example that we want to spread to the rest of the world.